Survival in non-cystic fibrosis (CF) bronchiectasis is not well studied. 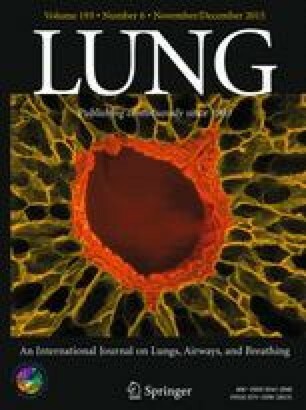 The United Network for Organ Sharing database was queried from 1987 to 2013 to compare survival in adult patients with non-CF bronchiectasis to patients with CF listed for lung transplantation (LTx). Each subject was tracked from waitlist entry date until death or censoring to determine survival differences between the two groups. Of 2112 listed lung transplant candidates with bronchiectasis (180 non-CF, 1932 CF), 1617 were used for univariate Cox and Kaplan–Meier survival function analysis, 1173 for multivariate Cox models, and 182 for matched-pairs analysis based on propensity scores. Compared to CF, patients with non-CF bronchiectasis had a significantly lower mortality by univariate Cox analysis (HR 0.565; 95 % CI 0.424, 0.754; p < 0.001). Adjusting for potential confounders, multivariate Cox models identified a significant reduction in risk for death associated with non-CF bronchiectasis who were lung transplant candidates (HR 0.684; 95 % CI 0.475, 0.985; p = 0.041). Results were consistent in multivariate models adjusting for pulmonary hypertension and forced expiratory volume in one second. Non-CF bronchiectasis with advanced lung disease was associated with significantly lower mortality hazard compared to CF bronchiectasis on the waitlist for LTx. Separate referral and listing criteria for LTx in non-CF and CF populations should be considered. Don Hayes, Jr. contributed in conception and design, acquisition of data, interpretation of data, drafting of the manuscript. Benjamin T. Kopp contributed in conception and design, interpretation of data, revision of the manuscript. Joseph D. Tobias contributed in conception and design, interpretation of data, revision of the manuscript. Frederick W. Woodley contributed in conception and design, interpretation of data, revision of the manuscript. Heidi M. Mansour contributed in conception and design, interpretation of data, revision of the manuscript. Dmitry Tumin contributed in analysis of data, interpretation of data, revision of the manuscript. Stephen Kirkby contributed in conception and design, interpretation of data, revision of the manuscript. The authors report no conflicts of interest and have no relevant disclosures regarding this manuscript.